Shopping for a used vehicle can be an odyssey of Homer-like proportions – but it doesn’t have to be. When you turn to the right dealership from the start, you can find the used car, truck, van, or SUV that meets all of your needs and desires for an amazing price without devoting half your life to the search! If you’re shopping for a used vehicle near Kings Mountain, Cherryville, or Mooresboro, NC, there’s only one dealership you need to know: Renaldo Honda. At our conveniently located dealership, we stock a fantastic selection of used vehicles from a number of popular automotive brands. In addition to our personal favorite – Honda – you’ll find models from automakers like Nissan, Ford, Kia, Toyota, and more. There is something here for every driver and at every price point. We even offer a selection of used cars priced under $10,000 if you’re shopping for an extra budget-friendly vehicle! If you like to save time as well as money (and who doesn’t? ), Renaldo Honda’s website can help you do so. Start by checking out our online inventory of used vehicles and selecting the ones that meet your criteria. That way, when you do get here, you can speak with one of our friendly sales associates and let them know exactly which models you’re interested in seeing up close and taking for a spin. You can also save time by applying for financing using our handy online application, and getting an estimate of how much your trade is worth so you’ll have a better idea of how much car you’ll be able to afford. At Renaldo Honda, we are committed not just to selling you a vehicle but to getting you an amazing price on the vehicle that’s at the very top of your list. We don’t want you to have to settle – either for a car you’re not thrilled with or for a price that’s not a fantastic bargain. If that sounds like a plan to you, come see what we have in stock today! With quality and prices like ours, used vehicles don’t stick around our lot for very long. That’s why you should act fast when you spot something you like among our inventory. Get here for a test drive and claim your amazing savings before someone else in the Shelby, NC, area beats you to it. 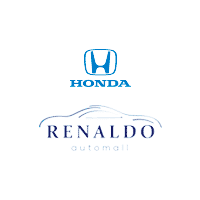 One experience with Renaldo Honda and you’ll wonder why you ever shopped for a used car anyplace else.